I grew up on a farm in KwaZulu-Natal. After completing high school I worked for several years before attending the University of KwaZulu-Natal to complete my BSocSc. Hons. in Media & Communications. While at University I was also involved in part-time work for some NGO’s (Non-Governmental Organisations) in the area. 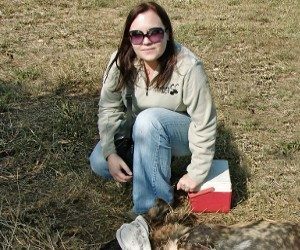 It was during my final University years that I met my husband, who is a Section Ranger for Ezemvelo KZN Wildlife, which is how I came to be involved with and love Zululand. We have lived and worked on several reserves within the Zululand area over the years, and are currently based at the Ranger’s Outpost in the remote Wilderness section of Hluhluwe-iMfolozi Park.